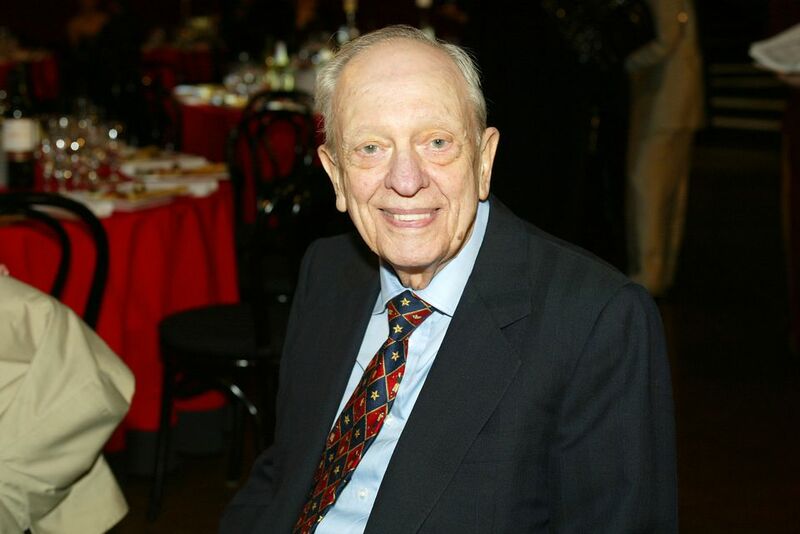 Emmy award-winning actor and comedian Jesse Donald "Don" Knotts (July 21, 1924 - February 24, 2006) is best known for his portrayal of Deputy Barney Fife on The Andy Griffith Show and his comedic role as Mr. Furley in the 1970s sitcom Three's Company. Recently, he provided the voice of Mayor Turkey Lurkey in Disney's animated film Chicken Little (2005). His half-century career included seven TV series and more than 25 films. Don Knotts was born in Morgantown, West Virginia, about an hour south of Pittsburgh, to Elsie L. Moore (1885-1969) and William Jesse Knotts (1882-1937). He was the youngest of four sons in a family struggling through the Depression. His father, who had suffered hysterical blindness and a nervous collapse before Don was born, rarely left his bed. His mother kept the family going by taking in boarders. One of his brothers, Shadow, died of an asthma attack while Don was a teenager. Don's skills at acting and comedy appeared early. Even before entering high school Don was performing as a ventriloquist and comedian at area church and school functions. He moved to New York City after graduation to try and make his way as a comedian, but when his career failed to take off he returned home to Morgantown to attend West Virginia University. When WWII came, Don's education was interrupted for a brief time for a stint with the Army Special Services Branch, entertaining the troops in the South Pacific as a comedian in the Stars and Gripes revue. Following demobilization, Don returned to college, graduating with a degree in theater in 1948. Don Knotts married his college sweetheart, Kathryn Metz, in 1947, and after graduation the couple moved to New York where Don soon became a regular on a number of television and radio programs. The couple had two children -- Karen and Thomas -- prior to divorcing in 1964. Don was married to his second wife, Loralee Czuchna, from 1974 to 1983. In 1955, Don Knotts made his debut on Broadway in the hit comedy, No Time for Sergeants, his first collaboration with Andy Griffith. Knotts also appeared as a regular member of the ensemble cast on NBC's The Steve Allen Show, from 1956 to 1960. When the Steve Allen Show relocated in 1959, Knotts took the plunge and moved to Hollywood. In 1960, he joined his friend, Andy Griffith, on a new sitcom, The Andy Griffith Show, playing the bumbling deputy Sheriff Barney Fife. His first leading role in a film came in 1964, with The Incredible Mr. Limpet, and was followed by a string of low-budget films, including The Ghost and Mr. Chicken (1966), The Reluctant Astronaut (1967), the Shakiest Gun in the West and The Ample Dumpling Gang (1975). Don Knotts returned to his successful TV roots in 1979, joining the hit comedy, Three's Company, as the eccentric landlord Mr. Furley. He remained with the show until it went off the air in 1984. Don Knotts then again teamed with Andy Griffith for the TV movie Return to Mayberry. He also played the pesky neighbor, Les Calhoun, in Andy Griffith's Matlock series, from 1988 to 1992. Don Knotts published an autobiography of his life -- Barney Fife and Other Characters I Have Known in 1999. Don Knotts died on February 24, 2006, of pulmonary and respiratory complications of lung cancer, at Cedars Sinai Medical Center. He was 81. Don Knotts won five Emmy Awards for Outstanding Performance in a Supporting Role in a Series for his work on The Andy Griffith Show. Do You Really Know Oklahoma's Carrie Underwood?